Despite the fact that Akhil has not delivered a hit so far, ‘Mr. Majnu’ generated buzz thanks to its director Venky Atluri who has delivered a hit ‘Tholi Prema’ with Varun Tej last year. The trailer has further solidified the expectations. Let’s find out whether it is worth the ticket price. Vikky (Akhil) loves girls, he dates many of them in London. He doesn’t want to commit to one girl for long. Enters Nikki (Nidhi Agerwal) in his life. He flirts with her on his flight journey to India. She turns out to be the sister of his sister’s would-be. After mistaking him as a Casanova first, she realizes his good nature and falls for him and asks him to love her. When he says he can’t love any girl beyond a month, she asks him to work out their relationship for two months to find out whether he’d change his stance. As they start dating, he feels claustrophobic by her possessive love and they break up. Rest of the movie is why he heads back to London and why he tries to woo her again? 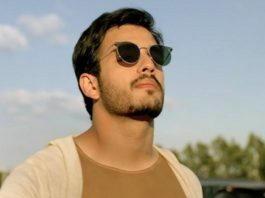 Akhil Akkineni is handsome as always. He is neat in his acting though the director has inserted three fights unnecessarily to show him as a massy star too. Nidhi Agerwal is just okay. Naga Babu, Sithara, Pavitra Lokesh, Vidyullekha Raman and Rao Ramesh are okay while Priyadarshi as Akhil’s best friend and Hyper Aadhi as Pulla Rao in London provide some laughs. Thaman’s music is okay to an extent. ”Kopamga Kopamga” is very catchy. Title song comes next. George’s cinematography is bright part of the technical team. Editing is sloppy. The film rests on a wafer thin plot. 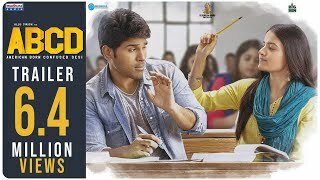 The screenplay is filled with scenes from several love stories like “Geetha Govindam” (heroine thinking hero as skirt chaser and she turning out to be the sister of would-be of his cousin), “Orange”, and director’s very own “Tholi Prema” (Love moments in first half, break-up at the interval, hero again going to London to win her back.). The first half comes across as decent rom-com despite being predictable thanks to some nice moments here and there. The director has banked on the handsomeness of Akhil and he projected him as a magnet who pulls women towards him. The one week anniversary of their love proposal is funny. Akhil and the family sequences in the first half are neat. Despite nothing being new, the interval bang holds the mood. In the first half, hero and heroine break-up because hero feels she is not giving him ‘breathing space’ as she is deciding everything related him. Post-interval, he starts pining for her after just one song and starts wooing her, which in turn is reverse of the first half. Since this is quite predictable line, the director has brought in Hyper Aadhi (another ‘Tholi Prema’ hangover) as Pulla Rao of Hyderabad Rockerz, who pirates Telugu movies to provide some funny lines. All the tricks that Akhil does here are the repeat of what we have seen Varun Tej did in “Tholi Prema”. Director Venky Atluri was successful in giving a fresh take to a romantic angle in his first movie “Tholi Prema” and the film’s music was mellifluous. In this film, he is not that successful. Nevertheless, he manages to hold interest to some extent. The second half makes us wish for it to end fast as it drags on and on. Entire second half goes in expected lines. Hyper Aadi is saving grace in the second half. Sequences like Dubai car driver getting exposed by Akhil are too clichéd. On the whole, ‘Mr Majnu’ is a love story that has its moments and decent first half. Akhil chips in his best handsome look and is suave, but the weak second half doesn’t sustain the mood well. 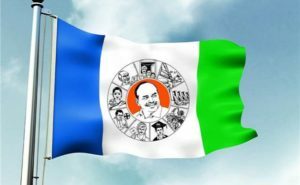 Do YSRC leaders have any doubt on victory?